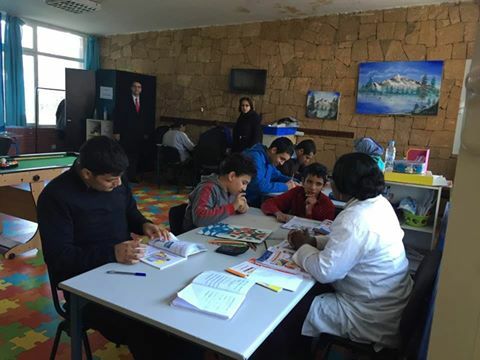 the autism project led by Hafida Torres, a very active AMCN member of the health and biomedical group, is a project aimed at demystifying and destigmatizing autism in Morocco. After several years of preparations, this past summer, several college students and faculty members from WPI travelled to Morocco to collect data on needs of autistic parents and their perception autism. This part was undertaken under the leadership of Dr.Tahar El-Korchi, co-chair of the Education/Higher Education & Scientific Research thematic group, Haifa Torres, Autism Speaks, Inc. and several autism associations in Morocco. The data collection was conducted through interviews with families in Casablanca, Taroudant, Agadir, Biougra, Ouarzazate, Skoura and Tiznit. The findings indicate limited availability and lack of access to resources, support networks, and trained medical staff. The final report intends to raise awareness about autism spectrum disorder in Morocco and to draw the attention of the Moroccan authorities to this worldwide challenging disorder. I want to take this opportunity to express AMCN gratitude and appreciation to the autism team for this outstanding and first time ever systematic study on autism in Morocco.